Aavenue 48 is a 2,000sq ft designer lighting studio on Purna Das Road that provides creative lighting solutions for all kinds of spaces. They have a collection of over 15,000 lights — from contemporary chandeliers and minimally modern pieces to elaborately expressive illumination. This store is well-stocked and can satisfy nearly every imaginable style. You may not have known you needed lights shaped like airplanes but when you see them you may wonder how you lived so long without them. 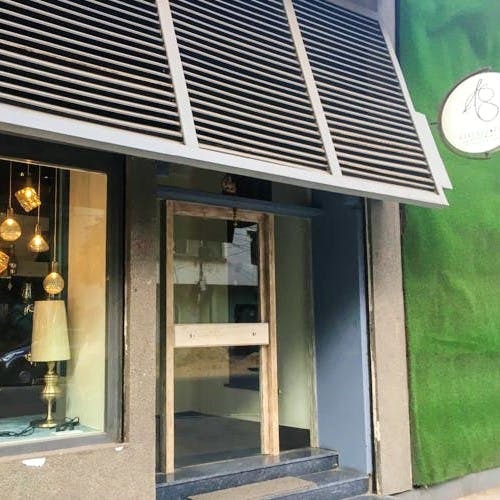 Started by Nikhil and Neha Mody, it’s very different form any other store — it is done up in thee pattern of a home, with different sections like drawing/dining rooms, corridors, bar sections and even rooms for children. They laid it out like a house so people can check out how a light fixture would look in a space. Head here for unusual and standout lighting pieces — it’s open Monday to Saturday, 11am to 8pm.